For complete peace of mind when it comes to maintaining your playing fields, look no further than Ricky Tyler Landscapes. Perhaps you work at a school or council with large fields that need to be kept in pristine condition to endure heavy wear by sports players. 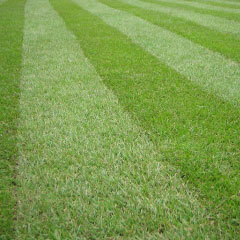 We can use our state of the art technology to ensure your grass is kept to the standard you require. Contact us to arrange a package that is ideally suited to your needs. All our work is carried out by trained professionals who are CRB checked, and we take pride in a job well done. Quality control is a big part of our work and we conduct frequent site visits to make sure everything is being done as it should be. We guarantee to beat any quote while maintaining a top quality service at all times. You will easily be able to identify our workmen on your site as our logo is displayed on all clothing and vehicles. 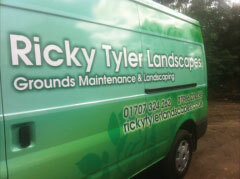 With Ricky Tyler Landscapes, we guarantee your playing fields will be in top-notch condition for the next big match. Ricky Tyler Landscapes can provide gardening and grounds maintenance services including Playing Field Grass Cutting covering London, Essex, Hertfordshire, Northampton, Buckinginghamshire & Bedfordshire .